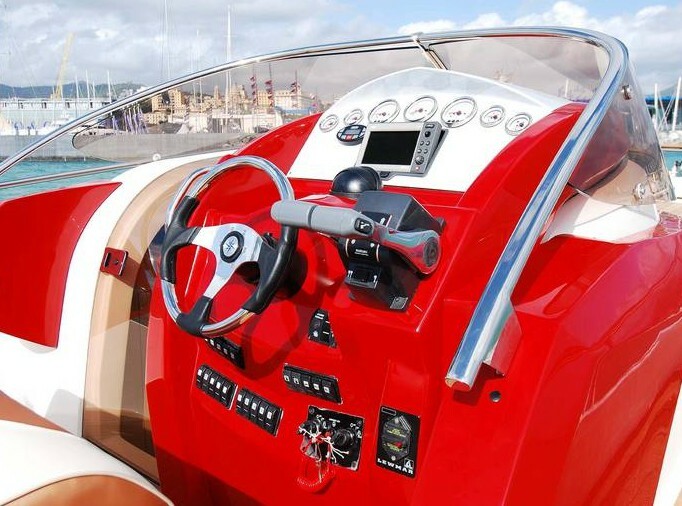 Clear Powerboats of Trivolzio, Italy present their flag-ship model. 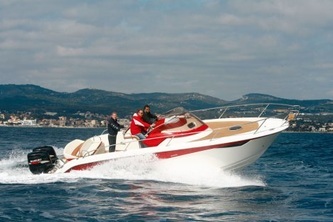 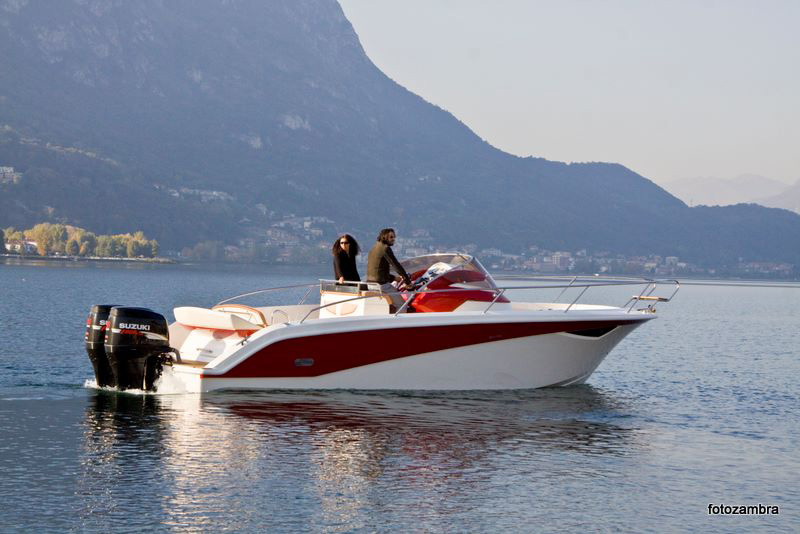 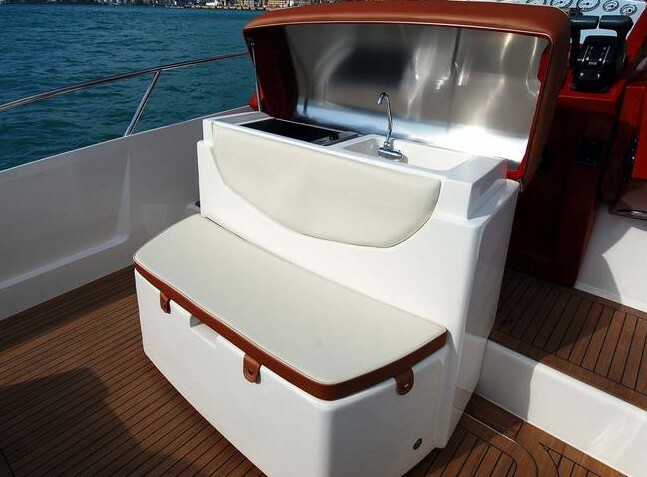 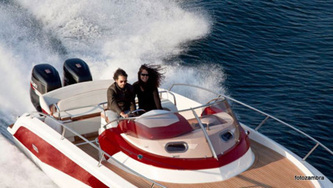 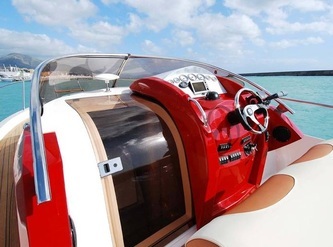 The 2015 Taurus is a formidable 9.2m cabin cruiser based on a race boat hull design. 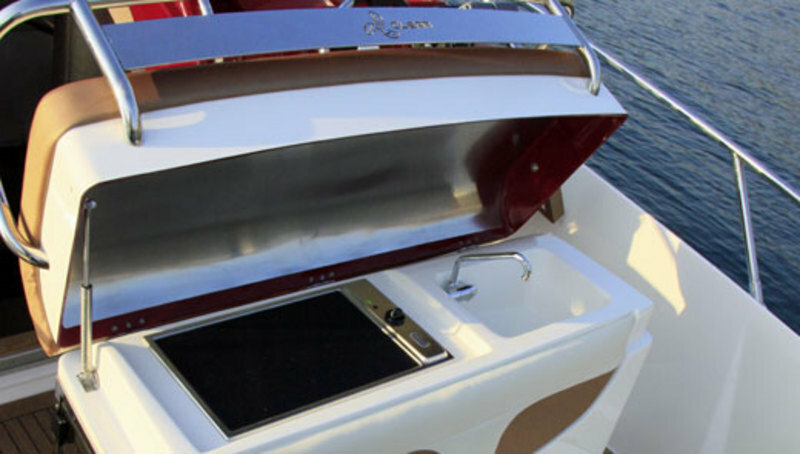 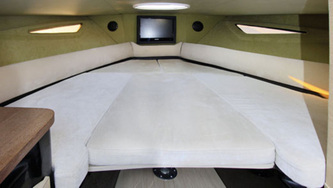 She offers raised sun deck, aft dining area with wet bar and BBQ. 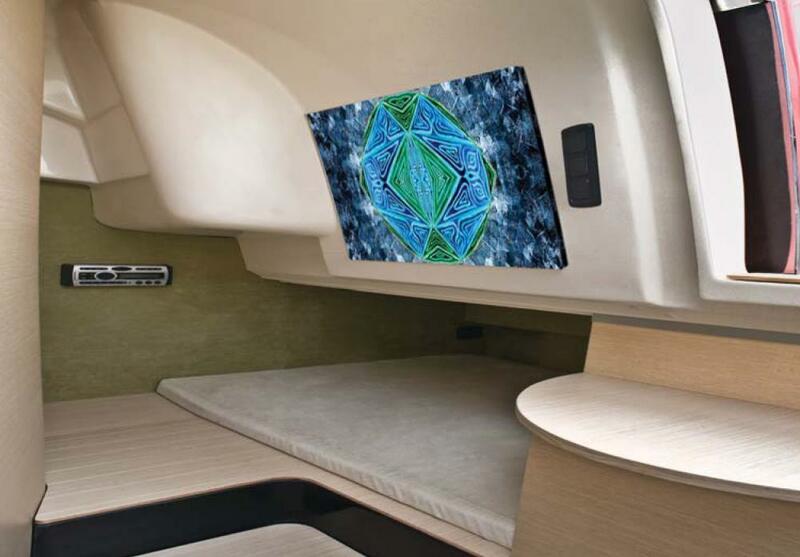 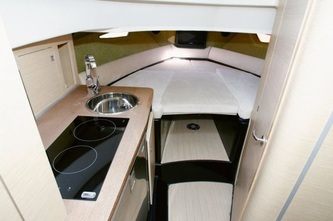 The spacious main cabin plus aft guest cabin both offer sumptuous upholstery and high quality fittings. 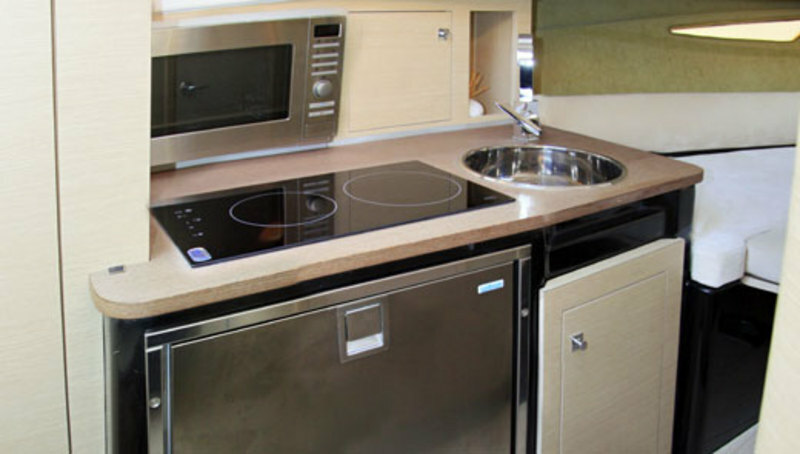 Featuring fully equipped galley, separate heads, convertible V berth for 2 with dining area and additional guest cabin. 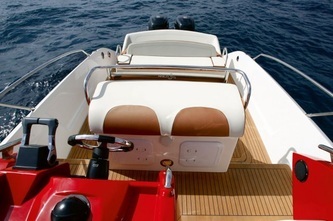 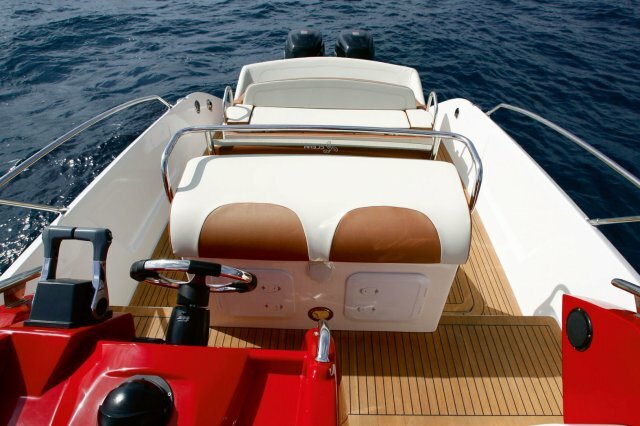 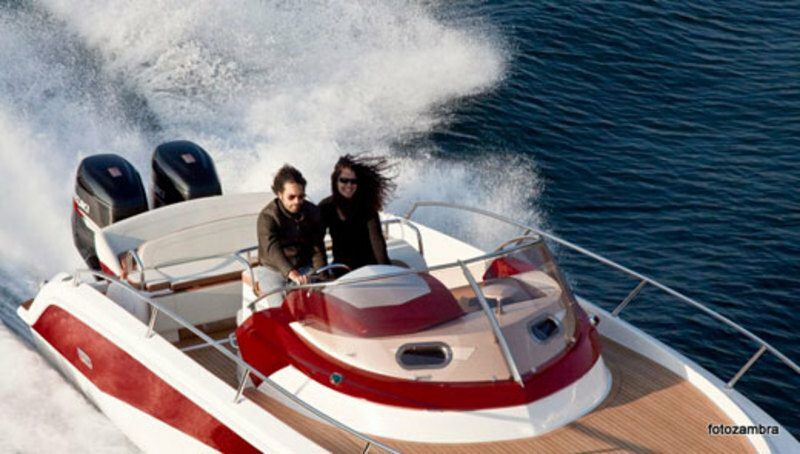 With your choice of Outboard power up to 600HP the boat offers serious performance coupled with classic Italian styling and a quality of fit-out usually reserved for the super-yacht sector. 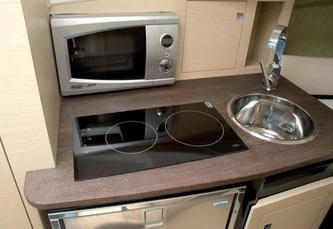 CABIN: dinette double bed – durmast/wengè finished interiors – durmast parquet flooring – removable table – guest cabin with single bed – kitchen with sink – double ceramic hob – microwave oven – 85 lt fridge – durmast shelves – separate bathroom with marine toilet – 83 lt waste water recovery tank and double macerator – ceramic basin – mirror – durmast furnishings. available in two RAL colours. 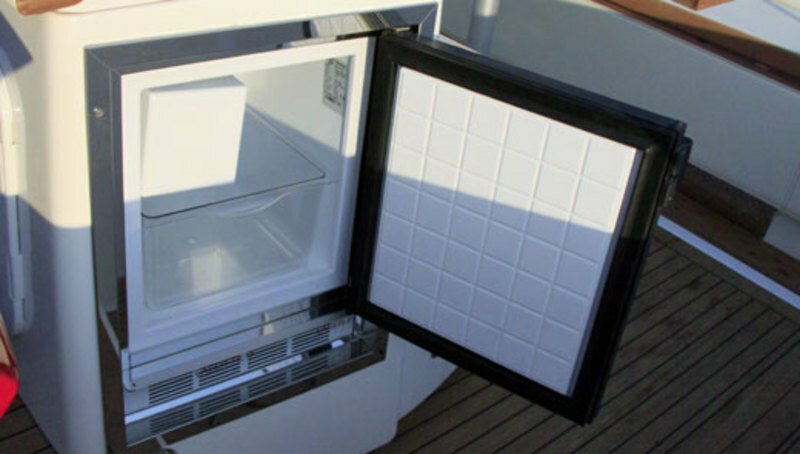 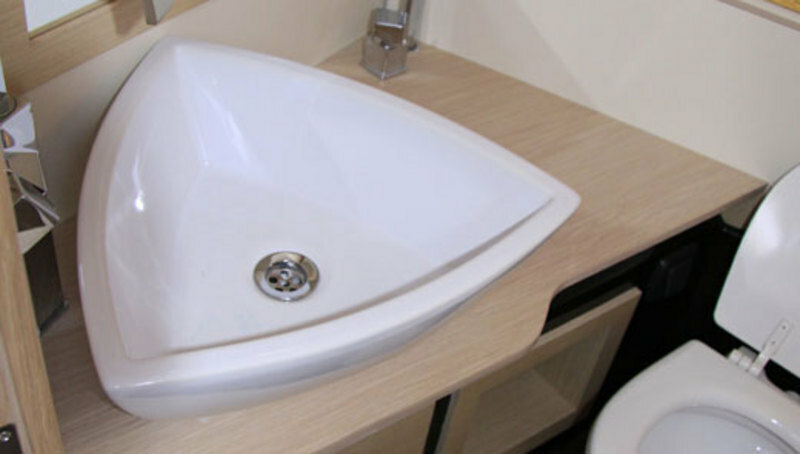 Optional extras available on request for both versions: footbridge – air conditioning – water heater – current source.